Outstanding Crochet: Alla Koval give away. 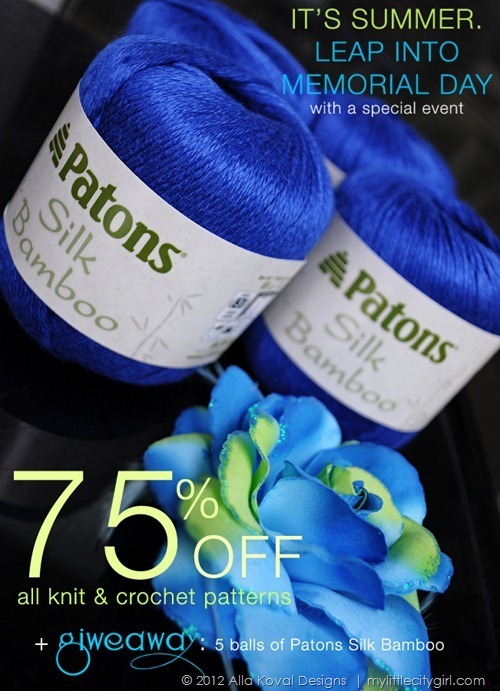 She has a giveaway as this Silk Bamboo yarn from Patons. I entered. Let's see if I am lucky. I hope you win it. I would love to see what you make with it.